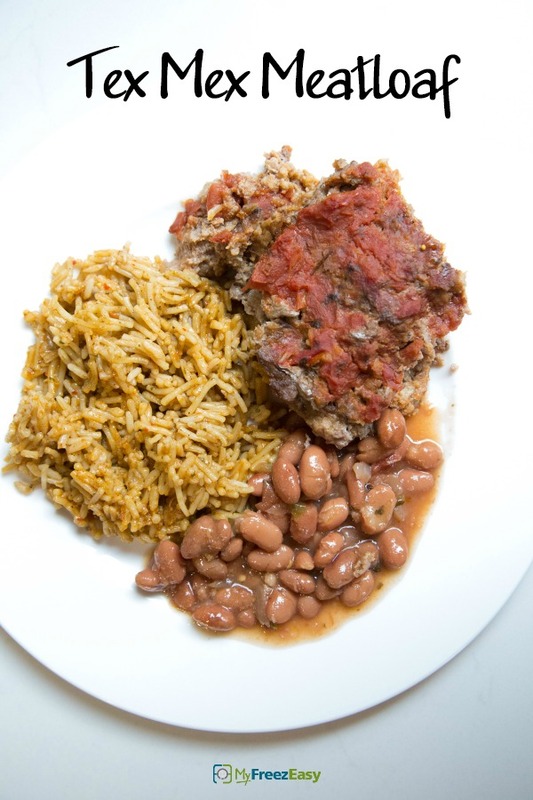 Fun flavor twist on a traditional meatloaf. Enjoy! Peel and grate 1/2 small white onion. Mix ground beef, grated onion, taco seasoning mix, egg, breadcrumbs, salt, and pepper together in a bowl. Combine well to form the meatloaf. Press the meatloaf into 9x5-inch loaf pan and then top with the salsa, spread thin over the top. Bake in the preheated oven for 60 minutes. Check it after 45 minutes and if it’s getting darker brown on top, cover with a piece of foil for remaining 15 minutes of baking. Cook the French fries as directed, while the meatloaf is cooking. 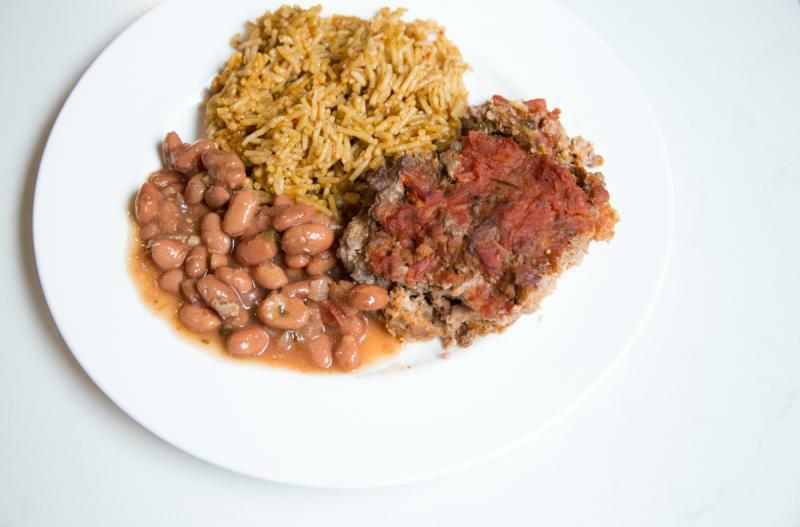 Serve Tex-Mex Meatloaf with veggies and French fries. Peel and grate 1 small white onion. Mix 3 lbs. ground beef, grated onion, and 2 Tbsp taco seasoning, 2 eggs and 2 cups breadcrumbs mix together. Wrap each loaf in foil, if desired. Remove as much air as you can and seal. Freeze up to 6 months in your fridge freezer or 12 months in a deep freezer. Put baggie in the freezer and freeze up to 6 months in fridge freezer or 12 months in a deep freezer. If you wrapped the meatloaf in foil, remove the foil and place the meatloaf back into the same loaf pan that you used to freeze it. Thaw completely in the fridge before baking as directed. If preferred, line 2 9x5-inch loaf pans with large piece of foil that can wrap around the meatloaf. Then once frozen, you can remove the loaf pan from the freezer and place the frozen meatloaf into a plastic baggie to bake at a future time in the same loaf pan. Use gluten-free breadcrumbs for gluten-free meal. Thaw completely in fridge before baking at 350 F for 60 minutes, or until cooked through. Serve with French fries & veggies.